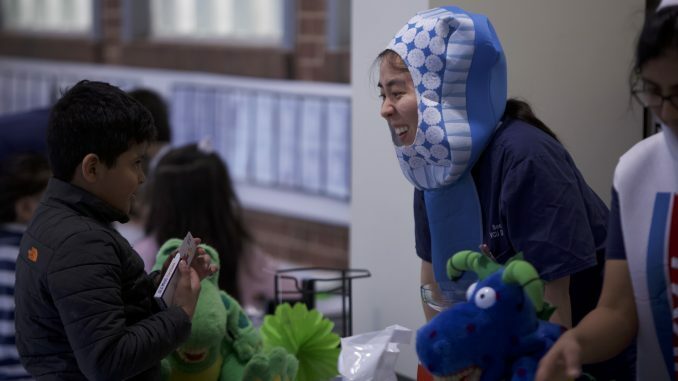 Smiles shined brightly Feb. 1 as School of Dentistry students dressed as toothbrushes and toothpaste tubes to host Give Kids a Smile Day, an event providing free dental care to children without dental insurance. Families with children waited in line at the VCU School of Dentistry to receive free teeth cleanings, exams and other dental services. Though many of the families the event had been there before, some were first-timers. “And I have a cavity that they’re going to take out!” her 8-year-old brother Christopher interrupted, excitedly showing off his teeth. Tables staffed by student volunteers lined the halls leading to the exam rooms. They provided oral health instruction, educational games and free oral hygiene supplies to children ranging from infants to teenagers. Spanish interpreters were also available for families who required them. Give Kids a Smile Day is an annual event sponsored by the American Dental Association and is held on the first Friday of February, kicking off National Children’s Dental Health Month. In order to be eligible for care, parents have to show that they don’t have dental insurance for their children. The event sees approximately 100 to 180 children each year. Last year, GKAS Day performed 130 dental exams. These included 35 tooth extractions, 101 cavity fillings, 20 crowns and one root canal, as well as ordinary cleanings and fluoride treatments. In total, the dentists saw 130 patients and provided nearly $60,000 worth of care. “We get a lot of repeat folks,” Gray said. “You get attached to the people who come every year. They grow up with us. 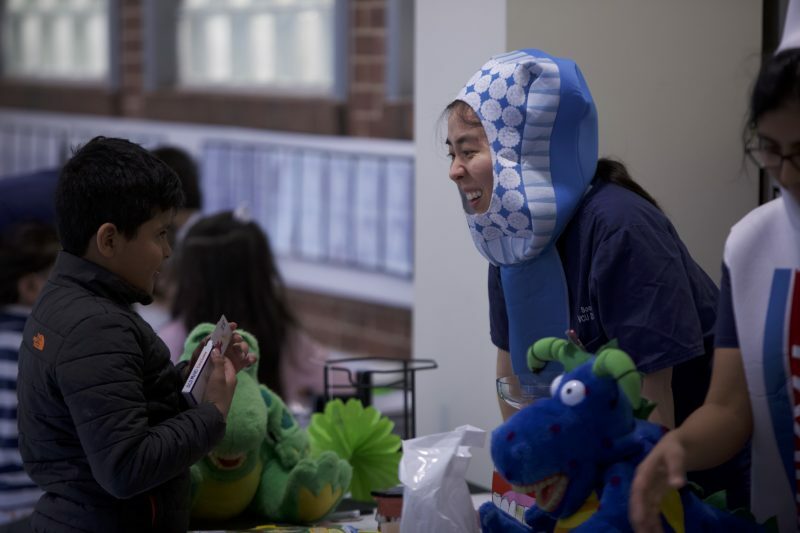 While practicing dentists provided the dental care, students volunteered at the education tables to teach children how to clean their teeth through educational games and instruction. Patel, 26 and in her second year of the dentistry program at VCU, hopes to become a general practice dentist, so she can work with both adults and children.